What is nanowaste and why should we worry about it? A container of fine silver nanopowder. The Fourth Industrial Revolution is upon us. It represents a massive step forward and a big shift in all aspects of human life. However, like the three industrial revolutions that came before, it will also have byproducts and problems to be overcome. The Second Industrial Revolution brought mass production and cost reduction, but it also brought mass consumption and the problem of waste disposal and recycling. The Third Industrial Revolution, also called the electronic or digital revolution, gave us computers and telecommunication solutions, but the problem of electronic waste remains unsolved. The Fourth Industrial Revolution is the era of human-computer interaction, smart systems equipped with advanced algorithms, small-scale rapid prototyping, and nanotechnology. The solutions and opportunities it presents seem to be unlimited. However, nanowaste and the issues associated with this new and not-yet-understood byproduct will escalate. One nanometre corresponds to 1 billionth of a metre, or 10-9m, as shown in the chart below. These tiny engineered materials often display different physical, chemical and optical properties compared with their bulk-scale counterparts. Gold is a great example of this phenomenon: bulk gold is a poor light absorber, but gold nanoparticles can not only efficiently absorb light, they can also facilitate certain chemical reactions (photo-catalyst) when stimulated by light. In the past decade, the rapid growth of nanotechnology resulted in numerous new applications in the fields of electronics, medicine and food. The amount of investment and effort that is being dedicated to nanotechnology is simply astonishing. Some commercially available products already benefit from nanotechnology solutions. It has been forecast that the global nanotechnology industry will grow to reach $ 75.8 billion by 2020. Nanotechnology raises many of the same issues as any new technology, including concerns about the toxicity and environmental impact of the materials. Nanomaterials and nanotechnology-based products reach their life limit just like any other technology, but dealing with nanowaste is complicated. For a start, it’s invisible to the naked eye, making it hard to track and monitor. Nanoparticles and nanowaste do not behave like regular bulk materials; they tend to be more chemically reactive and toxic than their ordinary bulk-sized counterparts. This makes it hard to predict how the tiny particles will act under different conditions, and this unpredictability poses some very big questions. Disposing of such chemically reactive materials without prior deactivation can lead to serious consequences for the environment and human health. Toxicity and other hazards related to nanomaterials and nanowaste are not yet completely understood. 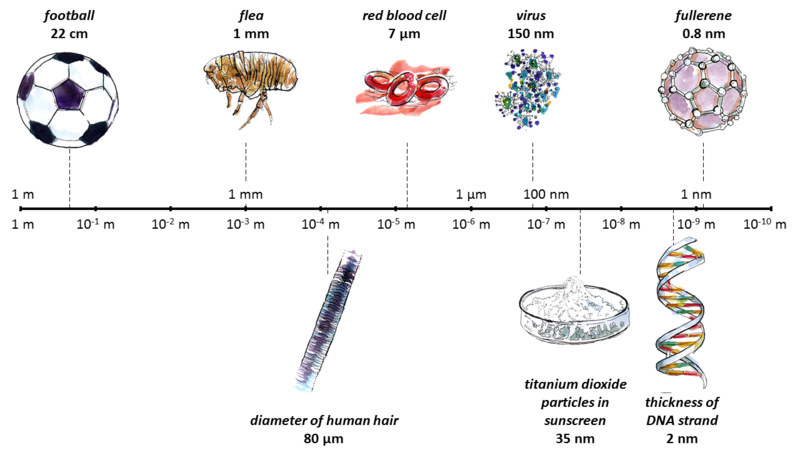 Unfortunately, not enough attention is given to the evaluation of toxicity, as well as health and environmental hazards related to the use of nanomaterials. The OECD recently published a series of five reports on nanomaterials and nanowaste that describe possible methods of disposal, hazard evaluation and recycling. Surprisingly, there are no policies or frameworks currently in place to tackle this growing issue. Certain nanomaterials have already caused problems to human health and the environment. Asbestos, a naturally occurring mineral that was found to be useful as thermal insulation and building material, has attracted attention in the last century. It’s part of a group of minerals that are made of thin needle-like fibres, each containing several nano-size crystal-fibrils. These nano-fibrils can be released into the environment and have been found to be a serious threat to human health when inhaled. Silver is another great example of a material that can be potentially harmful when scaled down to nano size. Used primarily in jewellery, in its large scale it’s not hazardous. However, silver nanoparticles are known for their great antibacterial properties. And if nano-silver is aggressive towards bacteria, what can it do to cells in our body? Studies show that silver nanoparticles, even at very low concentrations, have been found to kill beneficial soil microbes affecting naturally occurring symbiosis processes. There have also been concerns raised regarding the titanium dioxide (TiO2) nanoparticles widely used in cosmetics, sunscreens, paint and even vitamins. It has been shown that TiO2 nanoparticles can break DNA and cause chromosomal damage as well as inflammation, which may lead to cancer. These are only a few of the numerous and potentially hazardous nanomaterials. Many concerns related to this rapidly growing field remain without clear or definitive answers. It is not known if nanoparticles can pass through biological barriers such as skin, mucous membranes or cell membranes to inadvertently enter our bodies. Some studies show this as a possibility. It is also unknown how nanoparticles behave once they enter the food chain. Do they circulate in the organism’s system until they are naturally removed through the biological process? Or do they remain and accumulate inside of the organism, causing problems and affecting natural processes? In the next few years we will see the growth of nanotechnology. But there is a lack of clear standards and frameworks related to the use, disposal and recycling of nanomaterials and nanowaste. Scientific and research organizations, together with governments and environmental agencies, need to tackle the issue by performing more evaluations and developing uniform policies and effective practices. Luckily, international and national organizations are starting to take note: the OECD, UNIDO, EPA and IUCN, as well as several governments, are already aware of the escalating issue and are trying to apply precautionary principles. It’s also up to us, the public, to be responsible for understanding the risks of nanomaterials and to apply that knowledge to the products we buy.